A "headless" computer is one that operates without a monitor, keyboard, or mouse. 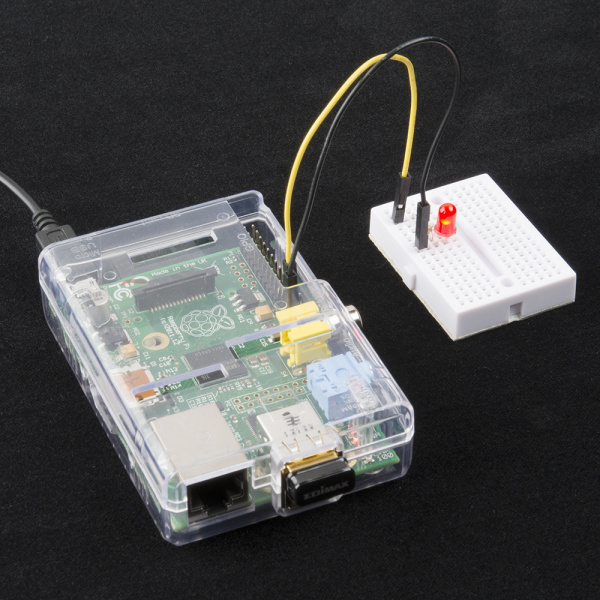 The Raspberry Pi works great as an inexpensive computer that can help people learn to program and create fun, interesting projects (without many repercussions if you break something--just reflash the SD card!). The one downside is that as a computer (as opposed to a microcontroller), it requires a monitor, keyboard, and mouse to work, which can quickly increase the costs of acquiring the necessary components. Serial Terminal - This requires extra hardware in the form of a serial-to-USB adapter, but it is by far the most robust way to connect, as you are not relying on any network setup. 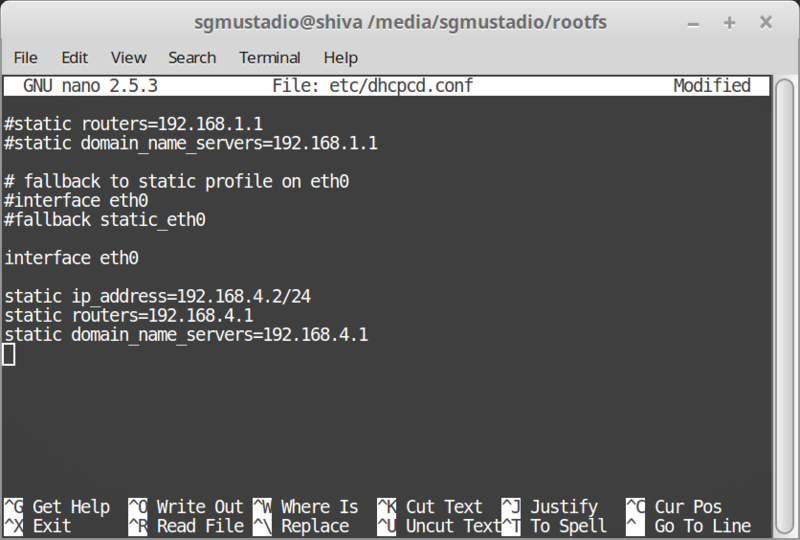 Ethernet with Static IP Address - This method requires a Linux operating system to change some files on the Raspberry Pi image. You can give the Raspberry Pi a static IP address and then use an Ethernet cable (or WiFi) to log in. WiFi with DHCP - You will need to have access to your router to find your Raspberry Pi's IP address in order to log in via SSH. As a result, this may not be the best option in school or office environments. 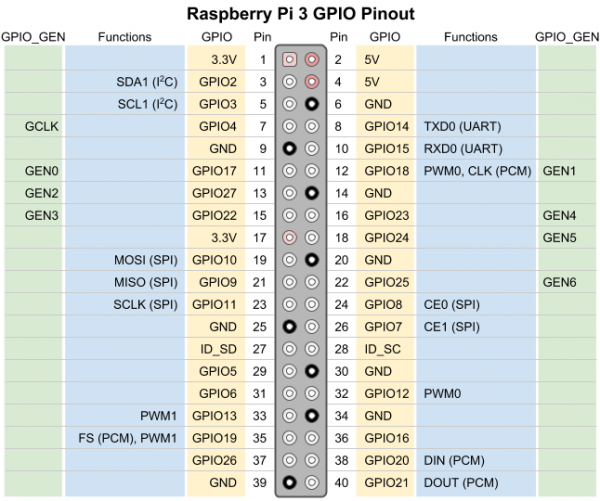 The Raspberry Pi has several options available for operating systems. It's often recommended that beginners start with NOOBS, as that walks the user through the necessary steps of installing an operating system. 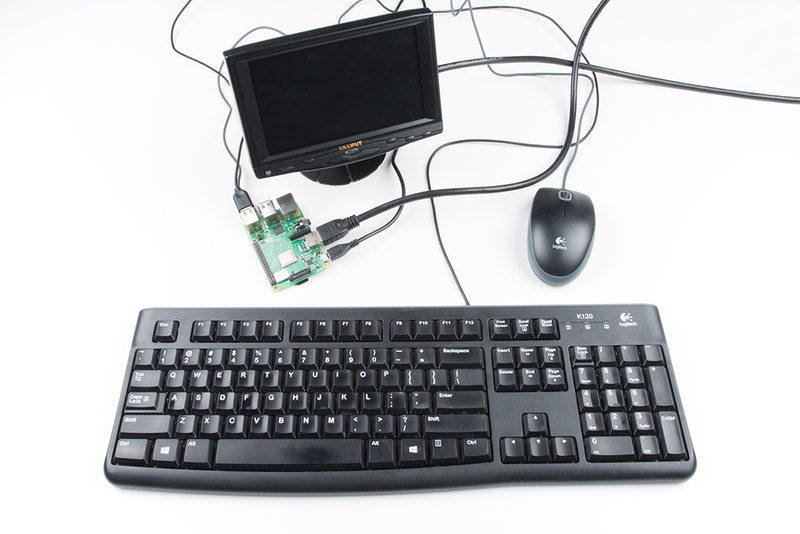 However, it usually requires a monitor to see the selection process, so we'll be creating an image of Raspbian manually. Additionally, we'll be using Raspbian Lite, which saves us space and time by not including the desktop (i.e. the graphical interface). Because we're creating a headless image, we'll be doing everything through the command line! Note: This tutorial was created with Raspbian Stretch Lite (version: March 2018). Using a different version may require performing different steps than what's shown in this tutorial. 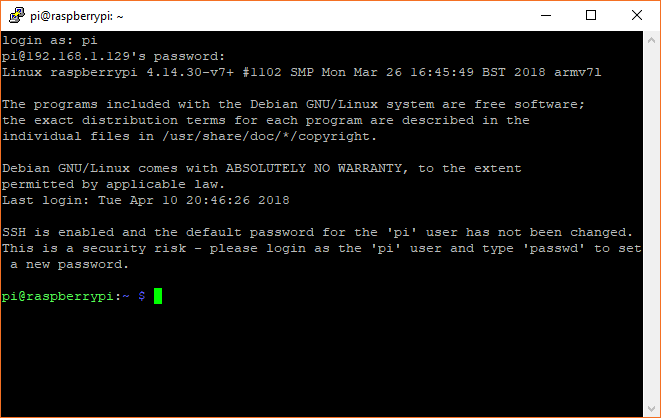 If you would like to download the March 2018 version of Raspbian Lite, it can be found below. Unzip the .zip file using your program of choice. 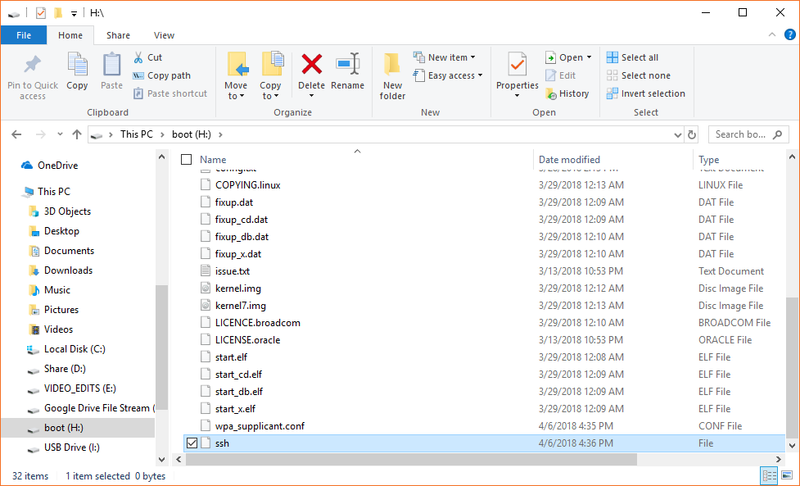 You should have a 2018-03-13-raspbian-stretch-lite.img file in a new folder. Alternatively, you could use a USB to TTL Serial Cable. Note that if you are using the Raspberry Pi Zero W, you will need to solder a header onto the GPIO port. Caution! The GPIO pins on the Raspberry Pi are NOT 5V tolerant. That means you must use a 3.3V USB-to-serial converter. In versions of the Raspberry Pi after 3 (e.g. 3 Model B, 3 Model B+, Zero W), the processor contains two hardware UARTs. One is dedicated to the Bluetooth module, while the other is a less-featured "mini UART." This mini UART is broken out on pins 8 and 10 and can be used as a serial terminal into Linux. The problem is that the mini UART's clock is tied to the variable clock speed of the graphics processing unit (GPU). We need to set a static system clock in order to use the mini UART as a serial terminal. This can potentially disable some features (e.g. overclocking or power-saving mode), but it should not affect normal operation. 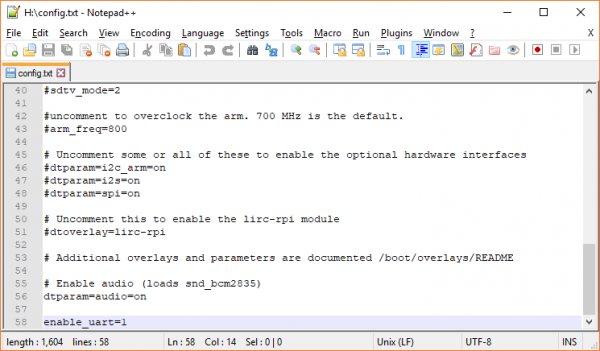 See here to learn more about the mini UART. 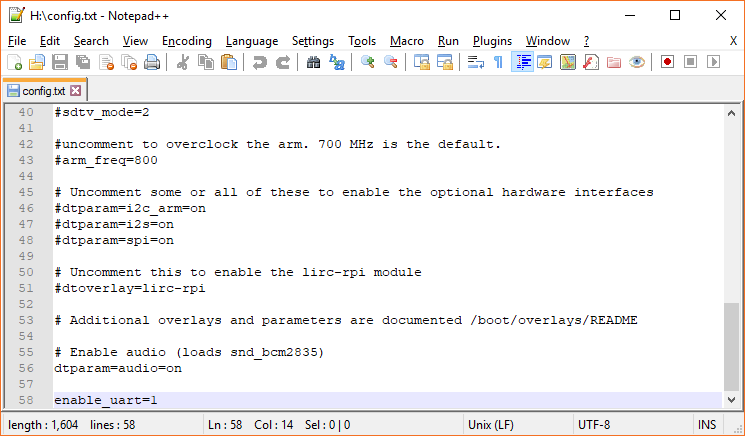 You'll see that pins 8 and 10 are connected to UART transmit (TXD) and receive (RXD), respectively. We'll need to connect GND (Raspberry Pi) to GND (USB to serial converter), TXD to RXI, and RXD to TXO. Note that we do not need to connect any power pins (3.3V or 5V). Connect the USB to serial converter to your computer, and connect the wall adapter to the Raspberry Pi's PWR (USB micro B) port. 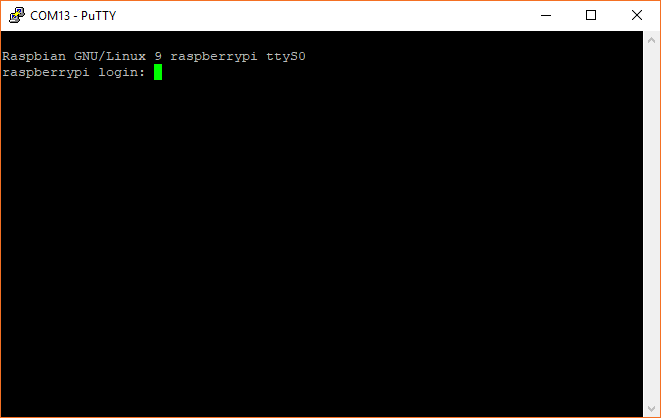 Note: Windows and Mac cannot access the filesystem partition of the Raspberry Pi image on the SD card. As a result, you will need access to a computer with a Linux operating system. 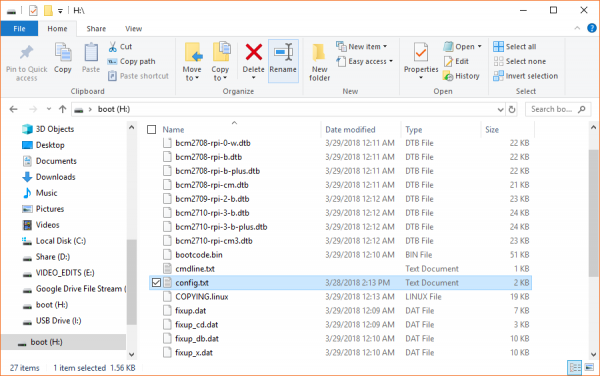 If you don't have a Linux computer nearby, you can make a Live CD (or bootable USB drive) to temporarily boot into Linux to make the necessary file changes on the SD card. Once you have edited the necessary files, you can switch to another operating system. In 2016, much of the Internet slowed to a crawl as a result of the IoT DDoS attack brought about by the Mirai botnet. In response to vulnerable IoT systems with default username and password logins, the Raspberry Pi Foundation decided to disable the SSH connection by default on all future releases of Raspbian. As a result, we now need to enable SSH so we can log in over a network connection. You can read more about the reasonings for this here. Luckily, this is easy to do. 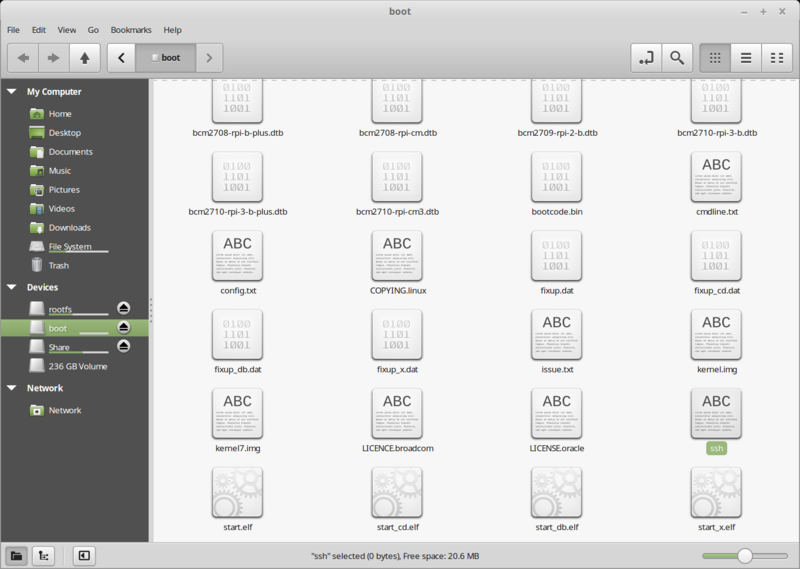 With the SD card still plugged in, navigate to the boot partition and create a blank file named "ssh" in that directory. You should see an empty file named "ssh" appear in the root boot partition. Unmount the SD card from your host computer and insert it into the Raspberry Pi. 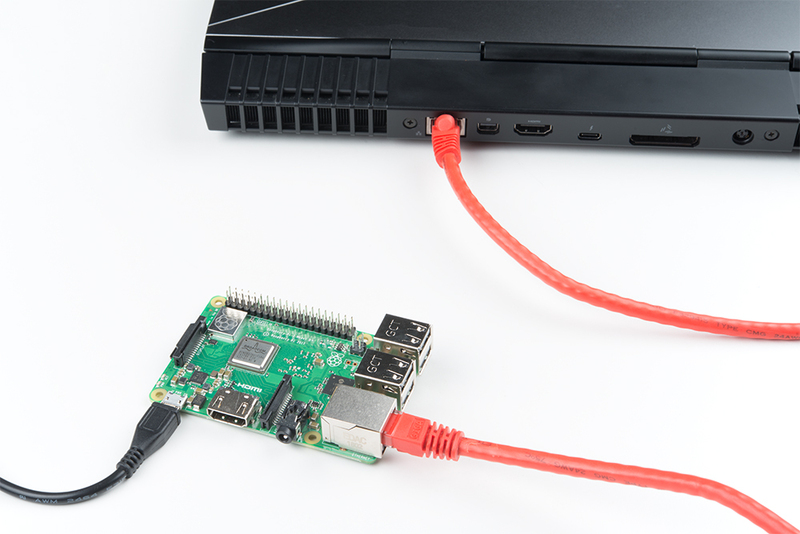 Plug an Ethernet cable into the Raspberry Pi and the other end into your computer. Technically, we should be using a crossover cable, but since the late 1990s, most computers are capable of automatically detecting and configuring for crossover. Instructions to set up a static IP address for the following operating systems: Windows, Mac, Linux (Ubuntu). Secure Shell (SSH) gives us a terminal into an operating system over a network and encrypts the traffic, giving us a level of security. Depending on your host operating system, you have a number of options available to you. 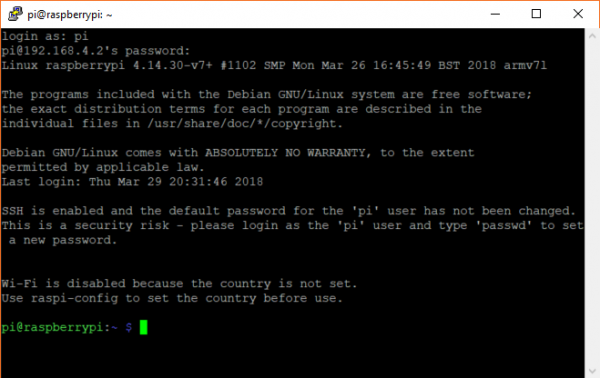 PuTTY is an easy-to-use SSH, Telnet, and Serial terminal client. Open PuTTY, and set the Host Name to 192.168.4.2 and Port to 22. Click Open. If asked about chaching a host key, click Yes. You should be presented with a command prompt, if all goes well. 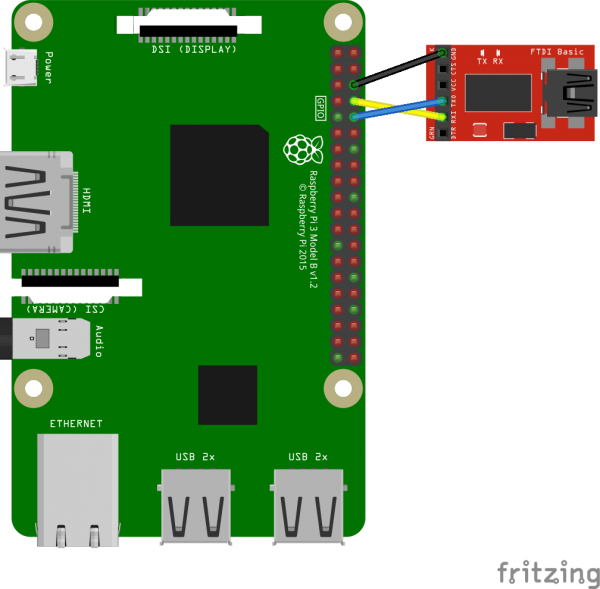 If you don't want to mess with extra hardware or use Linux to modify the Raspbian filesystem, then you may want to consider having the Raspberry Pi connect to your local WiFi access point, finding its IP address, and logging in over SSH. Note: You will need access to your WiFi access point (or router) to determine your Raspberry Pi's IP address. In an enterprise environment (e.g. office or school), this might be difficult or impossible to accomplish without consulting with your IT department. With the SD card plugged into your computer, navigate to the boot partition. 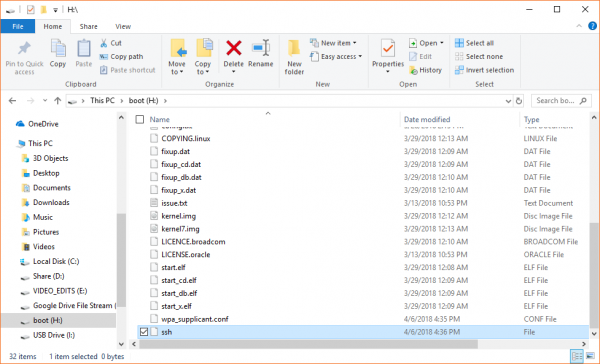 In the root directory, create a file named wpa_supplicant.conf. The next time you boot up your Raspberry Pi, this file will automatically be moved to the /etc/wpa_supplicant/ directory in the filesystem. Edit the file using your text editor of choice (on Windows, something like Notepad++ is recommended). Copy in the following text. Change \ to your ISO country code found here (for the United States, this is US). Change \ to the SSID of your WiFi network and \ to the WiFi network's password. In the boot partition, simple create an empty file with the name ssh. 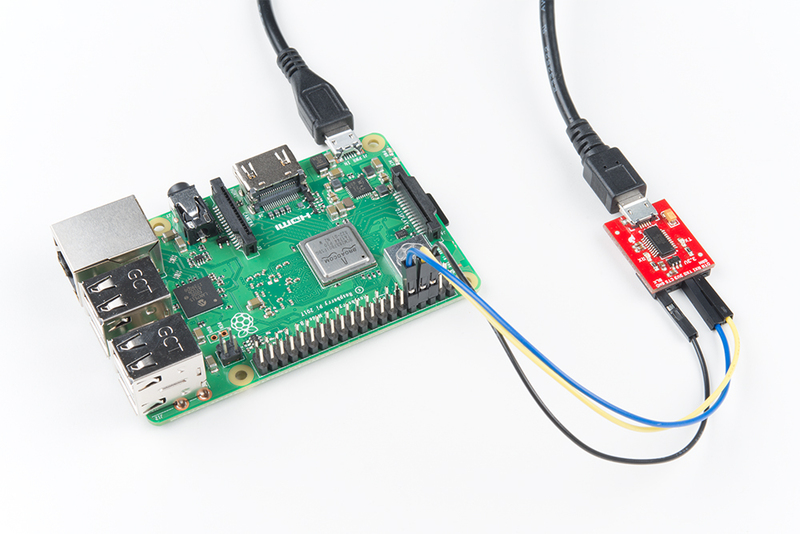 Power on your Raspberry Pi and wait for it to connect to your WiFi network. 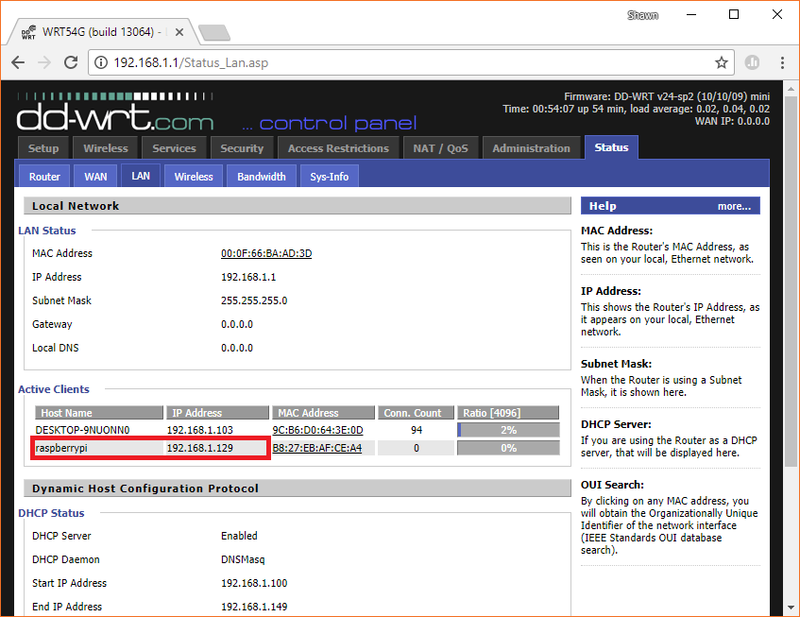 Open up your wireless router's configuration page (for example, by typing in 192.168.1.1 into a browser window). 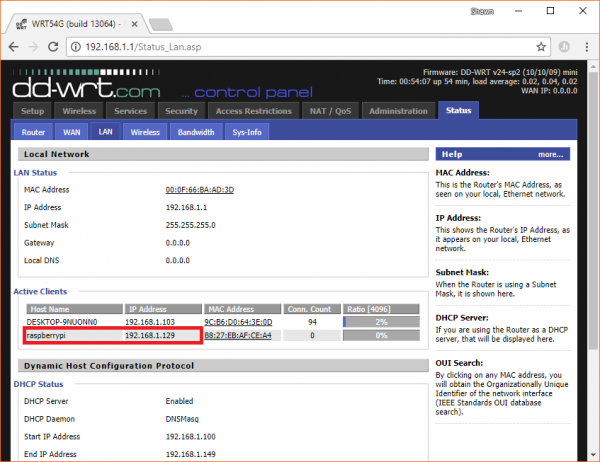 From there, find your router's DHCP lease table and make a note of your Raspberry Pi's IP address. PuTTY is an easy-to-use SSH, Telnet, and Serial terminal client. Open PuTTY, and set the Host Name to the IP address we found in the previous step and Port to 22. Click Open. If asked about caching a host key, click Yes. At this point, you should be logged in to your Raspberry Pi over some kind of terminal (e.g. serial, SSH). You have the power of Linux at your fingertips! You can begin writing code and calling commands as you wish. A good source of documentation about the Raspberry Pi is the Embedded Linux Raspberry Pi Wiki Page.